By all appearances Foyle is in an unusually forgiving mood when he’s allowed to return to the office, flashing the most genial of smiles at Collier, who thinks he’s gotten away with murder. 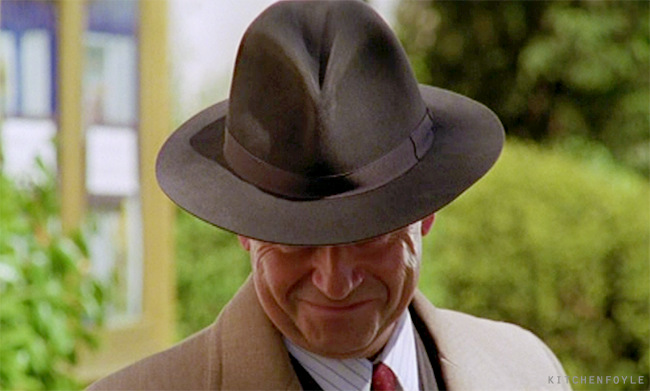 Foyle soon dispels the illusion, his knowing smiles disappearing as he reveals the full extent of Collier’s crimes and the motivation behind them. 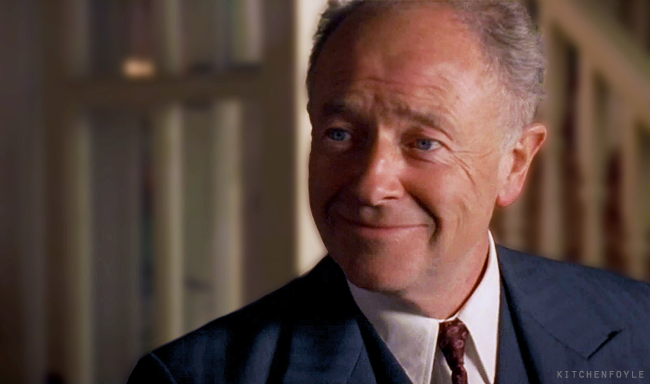 One aspect of Foyle’s War I’ve always admired is the coherence of the culprits’ motives. No obsessive lovers or crazed lunatics killing by reason of insanity on Foyle’s patch, thank goodness. 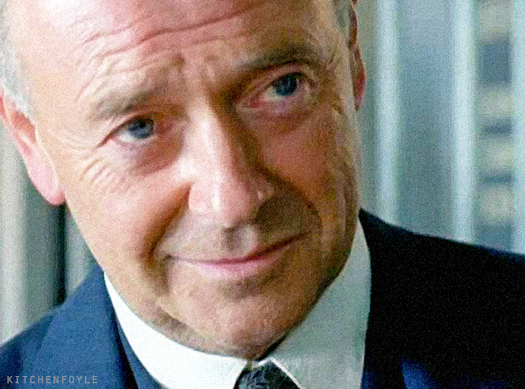 Foyle gazing, as only Michael Kitchen can, at the honorable young man who may be his son. A parachute instead of curtains. I wonder if the green color was chosen as an intentional reference to Scarlett O’Hara. Color and mood befitting this Saturday spent in the warmth of SoCal. Random moments of beauty from All Clear. June 7, 2014: I miss the lighter side of Foyle. December 3, 2017: I miss the lighter side of being an American citizen. I want to skip to the end of the Trump movie where it fades out and captions tell us how long they each got in prison. Henry Beaumont’s lying, and Foyle knows it. 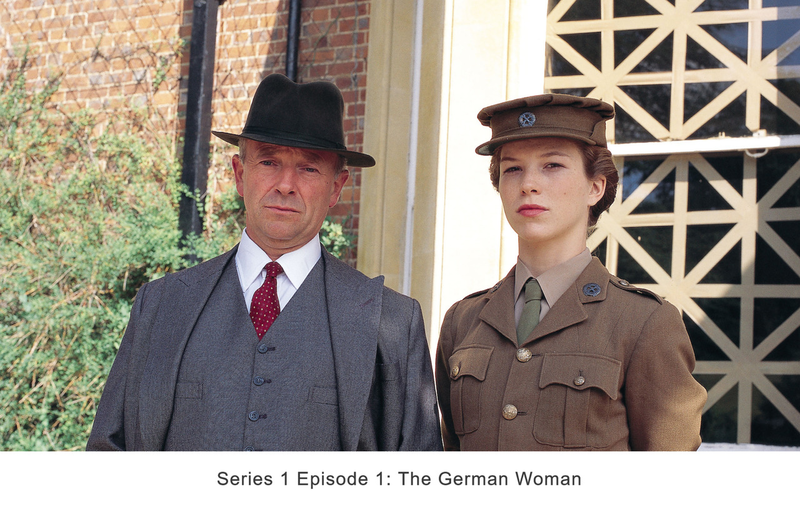 Commemorating the passing of yet another one of the distinguished actors who guest starred opposite Michael Kitchen on Foyle’s War.